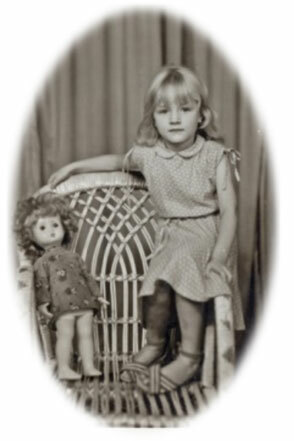 Today Passages to the Past is pleased to bring you a guest post by author Jo-Ann Costa. 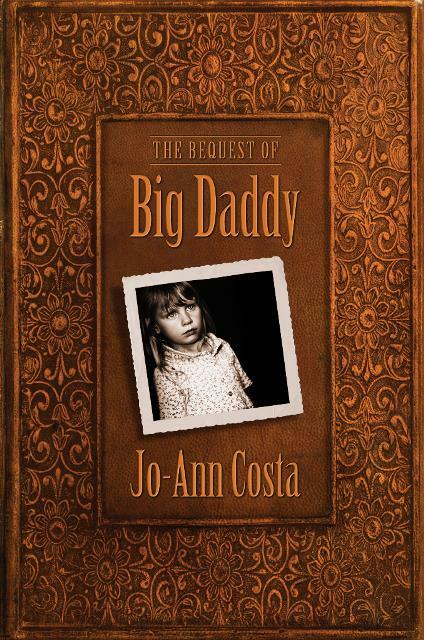 Jo-Ann is currently on a virtual tour for her novel, The Bequest of Big Daddy, the first book in her Longleaf Legacy saga. The schedule of tour stops can be found at the end of this post. Set in the Deep South, a generational saga about family betrayals, separations and reunions, The Bequest of Big Daddy was the third book I wrote before selling my work of historical fiction. And so it is really true when experts say that a writer should write more than one book to get the hang of writing a book! How I sold my third book is a subject for another day, but for this particular novel, it required hundreds of hours of research to achieve accuracy of historical facts and sociolinguistics of the times. It is also true that I drew generously upon my Southern heritage. Having heard countless times, the rich and often ribald stories passed down from my elders, and having lived in “Dixieland” during my formative years, I knew its people intimately – therefore writing about them was second nature. No matter where on this earth I eventually landed, I had only to tap into the memory of these voices to hear again, the complex patois spoken by many, their idioms, and the subtle differences between country folks and those blessed with an education and thus considered more erudite. For me, the dialog was the easy part. 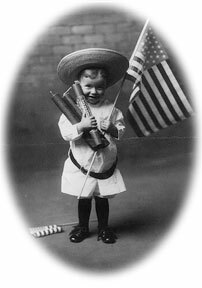 While they existed, my family’s Fourth of July family reunions also provided a colorful palette for some of the scenes I describe in my book. The man who started these reunions really was my great-grandfather, who, like my main character, Ratio Janson, we also called Big Daddy. 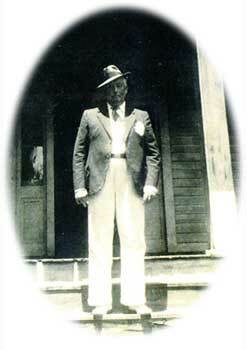 Together with the family stories, my great-grandfather, James Henry Johnson, shown in the photograph on the steps of Alpine Baptist Church, inspired the writing of The Bequest of Big Daddy. 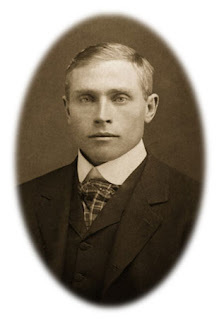 It is no accident then, that when I decided to write a novel of historical fiction, I chose the American South and the period spanning just prior to the Civil War through Reconstruction and charging head-on into the Twentieth Century. To me, the painfully slow evolution of the political, social and racial consciousness of that grand old Southern Dame, as told through the life of one exasperating, larger-than-life character, was far more interesting (and familiar) than writing about countries I’d never visited. Besides, in today’s divided environment, I thought it might be of interest to tell the un-adulterated truth about the past – inasmuch as it could be told within the confines of a single work of fiction. This includes the creation of an unlikeable main character, who is an anti-hero, and who becomes a much-feared family patriarch (which flies in the face of conventional wisdom that suggests that readers should “like” the main character). What I did not anticipate, however, was the stream of disparate feelings my story engendered in me while writing about the life of Big Daddy and those whose lives were interwoven with his audacious existence. 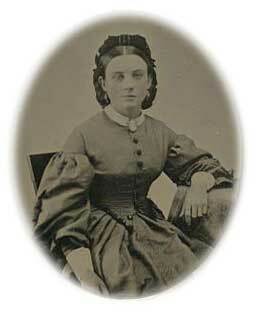 For example, the beautiful, but dour young woman in the photo is Mina Satterley Janson – Ratio Janson’s mother. She is portrayed in this tintype as a grieving, embittered widow. To invite Mina, in all her reinventions, to live on my pages required that I try to imagine how she might have been shaped by her experiences after losing her family, her home, a husband and a privileged life to the ravages of the Civil War. In an unprecedented turn of events, Mina became an unfeeling, self-centered being who thought only of surviving, by then, having no semblance of love left in her empty soul. For her character, I often revisited a long-ago journey that lead me across the North Sea. I thought of the abandoned crofter’s huts along the barren shores of the outer islands of Scotland and the icy water’s depths. With these images in place, I wrote about Mina, who becomes the main cause of Ratio’s constant torment. With these images, I could also sustain her hateful persona and longing for a vanished past throughout the book. Not least, I could comprehend her personal suffering. It’s a struggle being born, and it’s a struggle once you’re here. If you’re Clayton Man Janson, born feet first, with no middle name on his Mama’s mind, you’re branded what you’re handed. If the country doctor hadn’t said, “Well, well, I think we have us a little man here,” Clay Man’s exhausted mother might not have given any thought to another name. But the doctor did, and “Man” it was. When the prophet Daniel interpreted Nebuchadnezzar’s dream, he probably never imagined that his reference to “iron and clay feet” would someday be associated with possessing a character flaw. Neither did Clay Man’s mother, who was something of a Bible scholar, but too tired to analyze the second name she gave her newborn. As an adolescent, Clay Man would be the first to admit that he lost his soul when he met Mina Satterley. But Fate is a patient manipulator, in no special hurry for a reluctant Mina to eventually wed Clay Man and bear his child, Ratio Janson. As many of us must, Clay Man makes a life-changing choice in my book. Only his is an act that will result in his burial in a remote part of Ivy Creek Cemetery, laid to rest far apart from his family. Next to the character of Big Daddy, it was Clay Man Janson, who touched my heart. At least Big Daddy stood up and fought his mother, Mina. Clay Man lay down and died for love of his unreachable wife. In this handsome picture of Ratio Janson, aka Big Daddy, the photographer has seized the man’s arrogant appeal with his camera. It is his wedding day and Ratio is dressed to the nines. But I caution you: Make no mistake about his good looks. He is not as he seems. By now, Ratio is a hardened man who will only become more ruthless with time. His marriage to the sweet, impressionable Eugenie is merely one of convenience because Ratio Janson is a dealmaker and his contrived marriage to Eugenie is the shrewdest bargain he will ever strike. This aside, in writing about Ratio as an unloved child, my heart opened in ways that carried him through the book, though what he later becomes is abhorrent even to this writer. Because I knew why he was what he was, that knowledge was always a consideration even as he abused others. The man is complex – you don’t know whether to love or hate him… and neither did I. In my story, you will also meet Jo-Dee Grace Janson, Ratio’s great-granddaughter and sometimes narrator, who visits Big Daddy at his deathbed and soon attends his funeral. She grows up hearing fabled stories about her kin, forever remembering Big Daddy’s captivating blue eyes and outhouse language. She is, in fact, forever caught up in his spell, unable to ever forget that she shares his blood, and maybe, just maybe, his violent streak. In writing about Jo-Dee, I thought a lot about family traits, beliefs, mannerisms and all that blood-kin connections may imply. I wanted Jo-Dee to experience a familial legacy of a unique kind, handed down from a dead ancestor. How she handles this legacy, what she does when she discovers the biggest lie of all, tells us much about her character and helps to explain Big Daddy himself. If you are interested in learning about the fallout of the American Civil War on one planter-class family and the slaves who lived among them, along with the feudal institutions which died a long slow death, despite Emancipation, then this particular slice of history is exposed in my book…raw, as it was, in the language of the times, starring one hellava’ character, who goes for the throat. Thank you for reading my guest post. It is my hope that after reading The Bequest of Big Daddy you will better understand these inglorious times in our country’s past and the horrific conditions that produced someone such as Big Daddy. 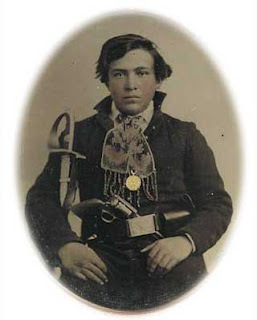 Ratio Janson is the crusty patriarch with an infamous background and a hair-trigger temper, reverently referred to as Big Daddy by his family clan. His feisty great-granddaughter, Jo-Dee, overhears shocking gossip at Big Daddy's funeral and is determined to plumb his murky past, spanning the Civil War, Reconstruction and forging head-on into the twentieth century. From a vast turpentine industry to the ruins of a decaying plantation with its feudal order a memory, Jo-Dee explores the complex nature of family and self, only to make a startling discovery. Will she betray her great-grandfather and disgrace the family name, or will she preserve his shameful secret? And on the ancient grounds of the family mansion destroyed in the Civil War, will Big Daddy's spirit claim her even from the grave? Along with the wildlife, Ms. Costa now makes her home at the edge of Colorado's Weminuche wilderness, where she writes historical fiction and mysteries. She is a graduate of California State University, the University of Southern California's Managerial Policy Institute, Leadership Southern California and the Public Affairs Institute. She also studied at the UCLA Writers’ Extension Program. 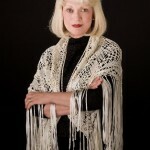 For more information, please visit Jo-Ann's website. You can also follow her on Facebook and Twitter. I almost joined this tour. I was so tempted but I didn't have the time to commit as I'm booked with other promotions. After reading her post now I wish I had squeezed in the time. I feel like I missed out on a great story.